Finding good startup business loans is an important part of the process of starting your own business. Some people might apply at their local bank for a loan and if they do not get it, they give up on the dream. While this may be normal, it does not necessarily have to be the case. There are numerous ways to get the money you need to start a business. Here are a few little-known sources for startup business loans. The Small Business Administration is a great place to get a startup business loan, but many people do not even realize that it exists. The SBA is a government agency. They back the loan, which makes it more likely that you will get approved. They also provide low interest rates and low down payment opportunities for borrowers. They have a variety of programs available. Another great source of funds for a startup business loan is a peer-to-peer loan. Many people have never heard of this form of lending, but it is growing rapidly in certain areas. There are a number of websites that host peer-to-peer lending exchanges. These sites connect those that have extra money to lend with those that need to borrow money. If you need money, you post a description of the loan you need and lenders will see the proposal. 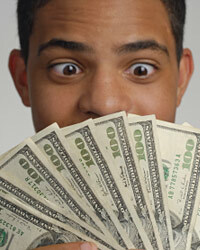 Some sites allow lenders to bid on the different loans available, which can net you a pretty good interest rate. The peer-to-peer site pulls the credit file of the potential borrower and they handle all of the payments along the way. This can be an alternative to the bank, as it keeps business on a personal level. Another similar option to peer-to-peer loans is when you borrow money from a private lender. There are many private lenders that have money to lend. They are usually wealthy individuals that want to get a higher rate of return on their money. The application process for these types of loans is quite a bit different than if you were to borrow from a bank. It is a lot more relaxed and does not take nearly as long to be approved. Most private lenders will want to take a look at your business plan and make sure that it sounds like a solid idea. As long as you can prove that your business can be productive, you should be able to find a private lender to loan you the money.